I went for my very first brief meeting(!!) with 2 of my bosses and we stopped by IKEA for some work and also yummy meatballs hoho. 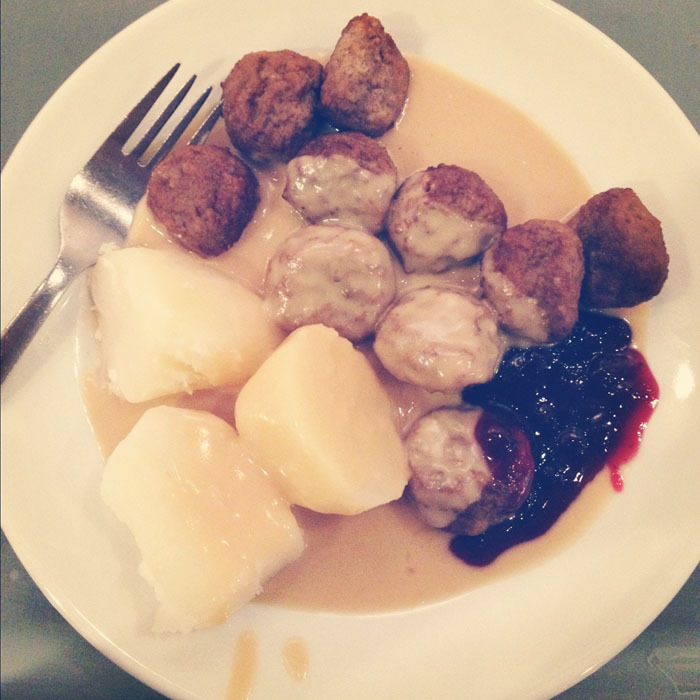 Swedish meatballs are certainly not to be missed whenever one goes to IKEA! Aside from preparing decks aka proposals in the office, my job requires me to be on-site during events. 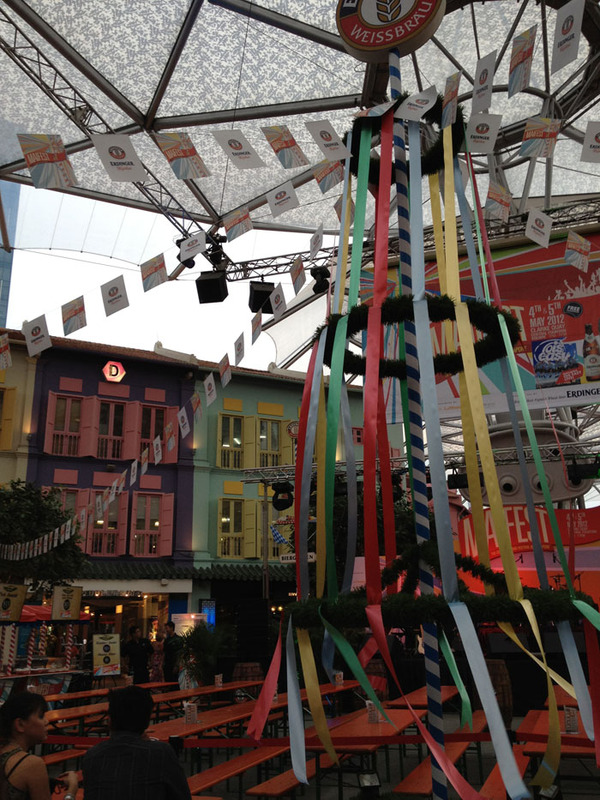 So last week, I was down at a SingTel private family day event on Labour Day, and Maifest on Friday & Saturday! There were Uncle Ringo carnival games, clowns making balloon sculptures, and yknow that hugeeee blow up playground we used to have at pasar malam (night markets) when we were young. Wished I could join in the fun but I had to tend the reception. It was sooo hot and stuffy. Some members of the public even came and offered to pay to enter the event! This was only one part of the crowd. Maifest was a blast! Initially the people were just hanging around outside of the area but slowly grabbed their seats and beers with their friends. 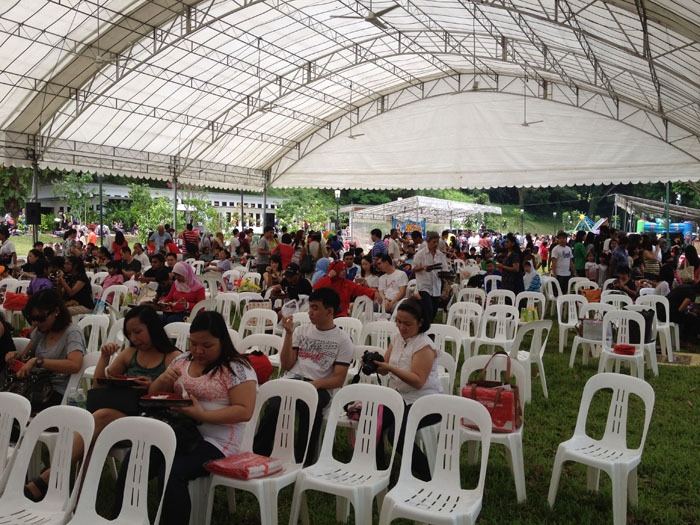 Soon, they were all swaying and singing along to the awesome music by Ois Easy! 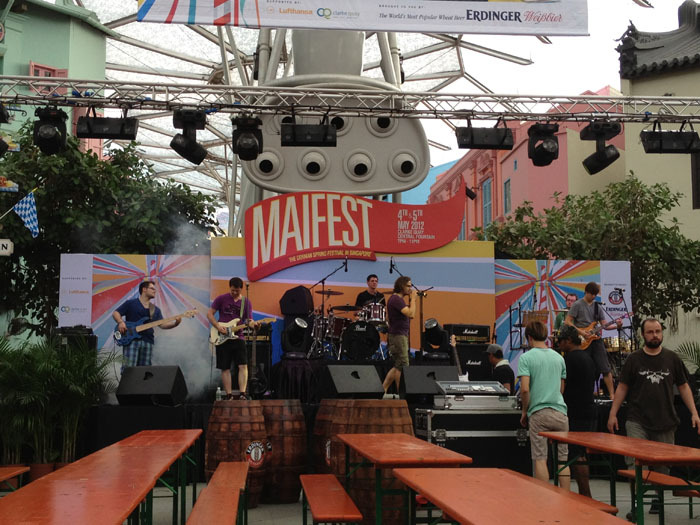 Let me tell you this German band is beyond awesome – Their energy level is WOAH and their performance was double WOAH! Ois Easy is a band of 7 men and they are so talented they can play any music from rock, to folksongs to pop! 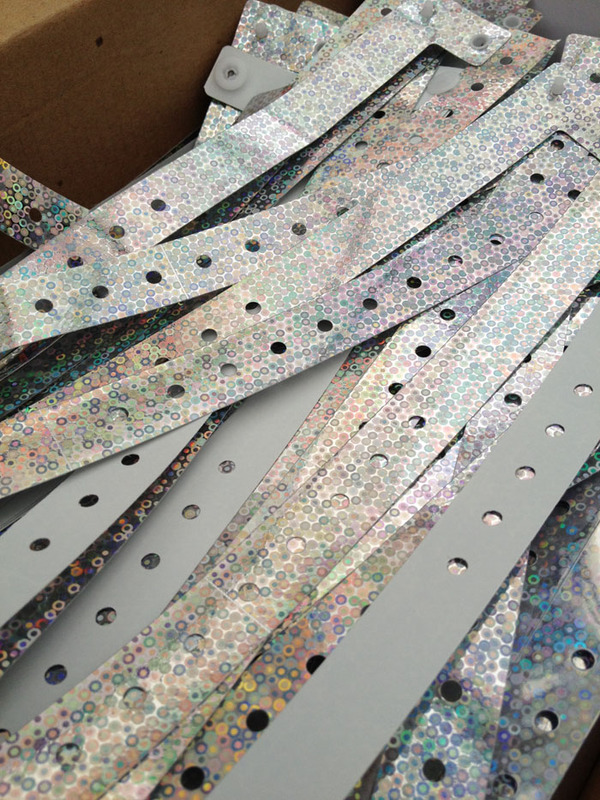 The glittery wrist tags for VIPs! 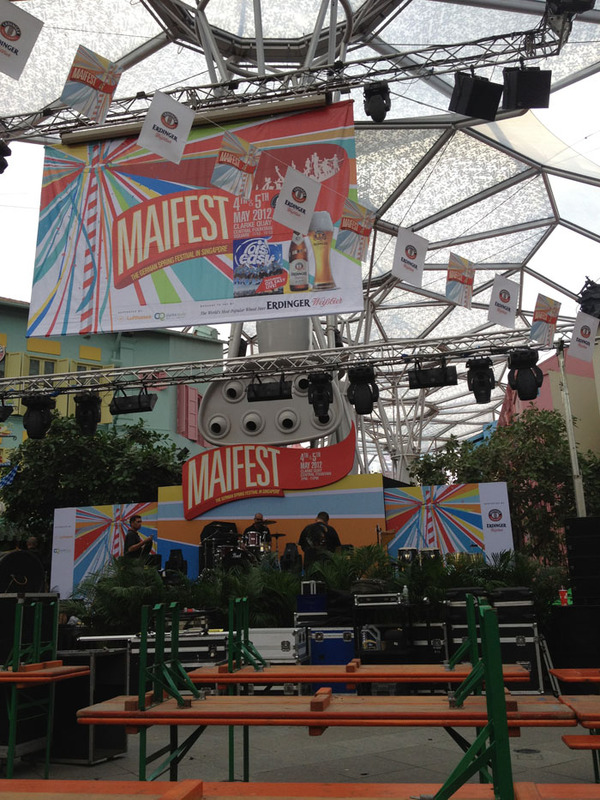 On the first day of Maifest, we had to report early for work just to make sure everything goes fine in the night. 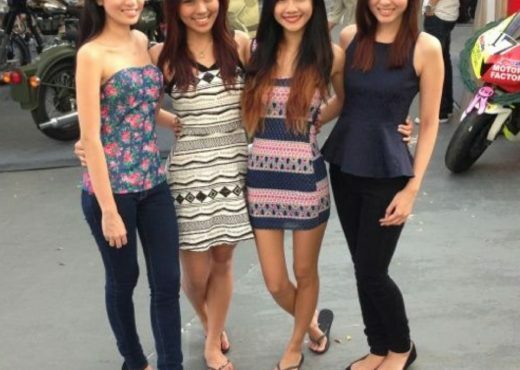 And I was… tearing because I couldn’t send my maid off at the airport. 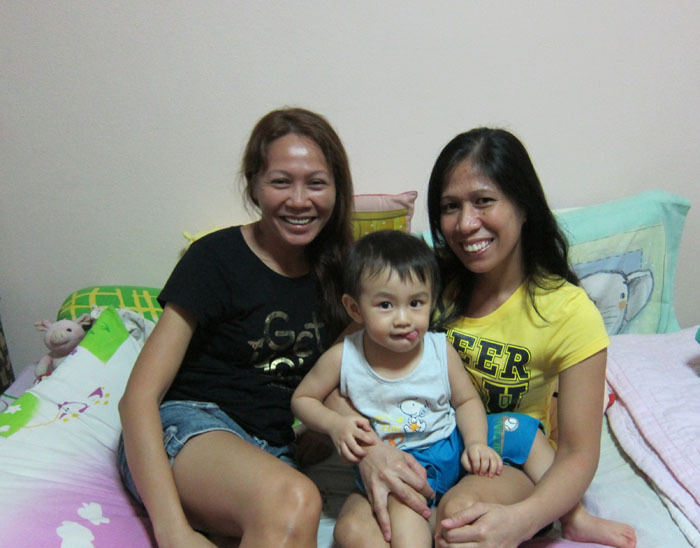 My maid, Emma, affectionately called Emu, left for the Philippines. She had been with us for 12 years and it was hard to say goodbye. I tried hard not to cry when she said bye to me when I left the house for work that morning but I sobbed uncontrollably at the gate. That’s Emu on the left, my cheeky nephew (Victor), and Lyn. Emu, if you are reading this, I wish you a blessed marriage and I love you! I think I need to try blogging everyday, or maybe once every other day. I shall try, hahaha. Otherwise, you guys can stay updated about my life or view my daily pictures on Instagram and Twitter @urbandollsg :> I update pretty frequently. Ciao and have a great week you!